Why is Direct Marketing the Single Largest Advertising Medium in America? Because it works. Direct marketing captures 54% of all U.S. advertising expenditures, significantly outpacing traditional advertising. An investment of $1 in direct marketing is predicted to return on average, $11.69 in incremental revenue across all industries. Our Community Marketing programs involve 5 or 10 or 20 or 40 or more local businesses. Our programs achieve 5% to 35% response rates compared to the .5% to 1% that newspaper/magazine/coupon mailers achieve. We have the official license to run promotions on the iPad form Apple. We mail out the VIP Players Card to consumers to motivate them to come into the businesses daily or weekly or monthly to win prizes. The black magic inks motivate the consumer to come into the business to have a chance to win big prizes. Save 50% to 80% off merchandise gift cards and hotel and hotel/air gift cards. Why pay 100% of the cost for a Visa Gift Card or a Retailers gift card. 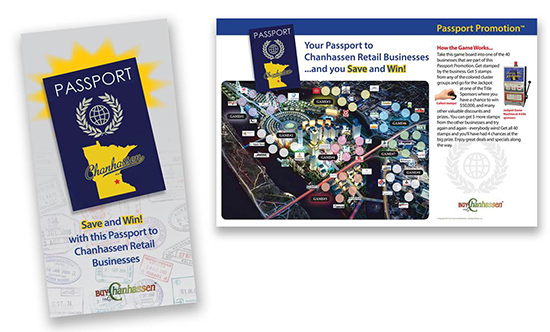 This direct mail program is for restaurants whose ticket is between $25 to over $100. The plastic self mailer has a mag-striped and bar code for tracking. Did you know that 99% of coupons get tossed out with in a short period of receiving them? These coupon cards stay in the wallet for the length of the offers. The coupons peel off to make it easier for the consumer to use. Most important, these coupon cards get 3 to 4 times the redemption compared to any other coupon. 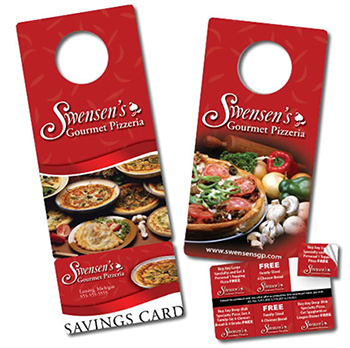 We now have the best door hanger program be we are using our patent coupon card that will last in the customers wallet as long as the offers last. For just $100 a month you can be in the retail apparel business with no inventory and be open 24/7/365.